Today’s Free Friday is a new STEAM lesson seed, following our week’s theme of balance. 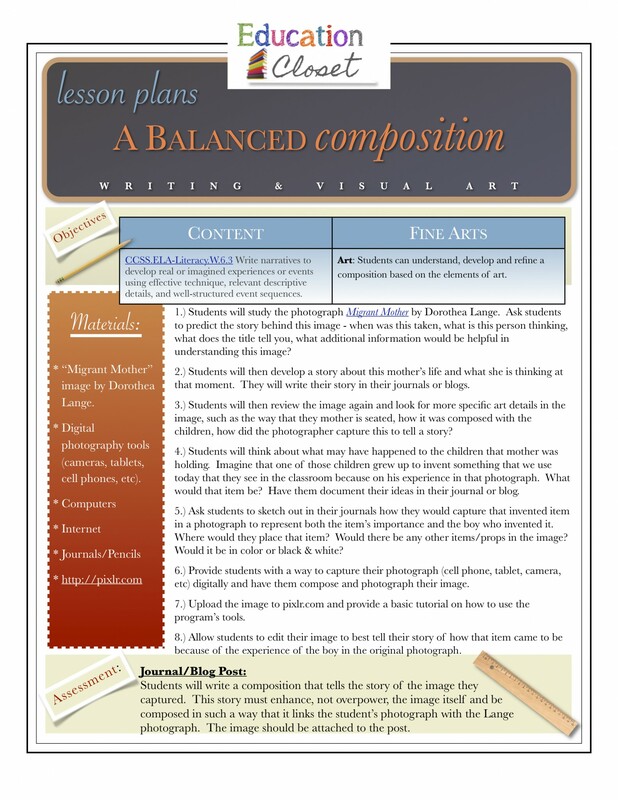 This lesson seed, A Balanced Composition, uses digital photography to work through Common Core Writing Standards. This lesson seed is written with grades 4-8 in mind, though you could easily adapt it to work in any other level with a few tweaks to both the writing assignment and the digital tools that are being used. Happy Friday!